Fellow Truett alum and preacher extraordinaire, Kyndall, has been tickling my brain lately at her blog. She recently shared about her experience avoiding feeling guilty (and feeling guilty anyway) about whether or not she bought fair trade chocolate for Halloween in a post titled Too Poor to Buy Fair Trade. Go read it first and subscribe to her wonderful blog. This is such a huge topic and sort of the whole point of my own blog, What Would Jesus Eat? I really sympathize with this dilemma. People sometimes think our family only eats the most pure of foods carefully grown in our backyard with organic methods. The truth is we are sometimes too busy or tired to cook and we eat fast food. We have sometimes felt guilty when visiting friends, if we were bringing over fast food for dinner. Oh, the shame we feel, because we are supposed to be holier-than-thou when it comes to our food choices. We preach the gospel of holy food to our neighbors and with our business. It feels like there is enormous pressure for us to live up to these ideals that we espouse. The burden is on us to “be the change we want to see”. Now that I’ve opened my big mouth about things I see that are wrong, I feel pressure to make sure that I’m not a hypocrite (or that others at least don’t know that I am). The truth is that we all live with this dilemma, stuck between the world as it is and the world as we hope and long for. It dawned on me when thinking about this guilt and shame we feel about our purchases that this is an essential aspect of the consumer religion that I have not yet explored. So, first I want to think about the role that consumer choices play in the consumer religion and then ways that we can begin to step outside these roles and definitions (short of getting off the grid and living on our own self-sufficient homestead). Our consumer choices are often overwhelming. The variety of breakfast cereals or types of orange juice are enough to make your head spin. How are we even supposed to make choices among such diversity? Enter the marketers to help us. If you buy this kind of orange juice, you are health-conscious. If you buy organic or grass-fed meat, then you care about the earth. If you shop at the farmer’s market, you support local food. If you buy fair trade, you get to make a claim about yourself, who you are and what you value. Many of us balk at the idea that our purchases define us or give us meaning, but marketers and advertisers wouldn’t spend billions of dollars selling us an image if it didn’t work. PBS has a great documentary on this called The Merchants of Cool in which the ways that even rebellion itself is marketed, packaged and sold to youth at a profit. So, we have been trained to define ourselves in large part by how we choose to spend our money and the products and brands we put in our cart. The things we buy also serve as a form of absolution or forgiveness for our sins. So, if you become concerned about the way that people are treated who make your products, you can buy fair trade and this absolves you of those sins perpetuated by the global market. 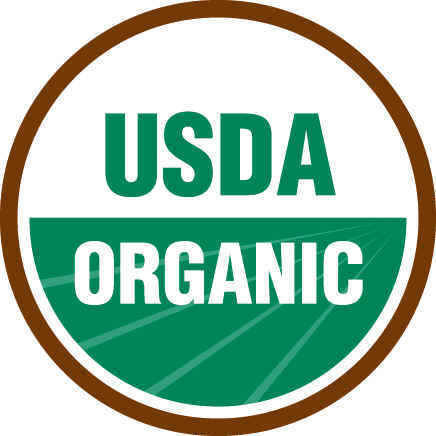 If you are upset about the way modern farming treats the environment or produces food, you can buy organic (or any number of unregulated terms like natural, pasture-raised, etc.) products. If you want to feel better about your electricity usage, you can use a company that purchases offsets or uses some combination of wind and solar. No matter what sin the market produces and involves us in as consumers, the market also develops an alternative to absolve us and make us feel better about our continued role in the economy as consumers. The last thing that the market wants is for anyone to try and find solutions that are not market-based or that question whether our purchases will be enough to really make a difference. What the market wants is for us to stay within the consumer religion and have faith that our purchases will be enough to at the very least absolve ourselves and assuage our guilt and at the most solve these problems without making changes to the economy or questioning any of its assumptions. Just to keep things interesting and build tension, I will deal with how we might respond to this reality of our consumer identity in another post. images from Wikipedia entry for Homo Consumericus and http://wakeup-world.com. A.) Wow. What a relief to know you sometimes buy fast food. B.) I totally relate to the pressure not to look like a hypocrite. I’m starting to think the solution is to be honest about my hypocrisy–hiding or staying unaware is the real mark of hypocrisy, right? Gosh, why is it so hard to be honest? C.) I am increasingly of the opinion that guilt is never the right motivation for decisions, and I’m on the lookout for something to replace the guilt. Honestly, this has put me personally in a quandary about social justice issues, because I realize how many of my changes have been guilt-induced and I desperately need a healthier source of energy. Thanks for the response. Yeah… your post has really sparked some creative thoughts. I have three more posts brewing on this topic. Hopefully they will be helpful in trying to replace our guilt with something better and help us have the energy to embody a different way of living within the world as it is. 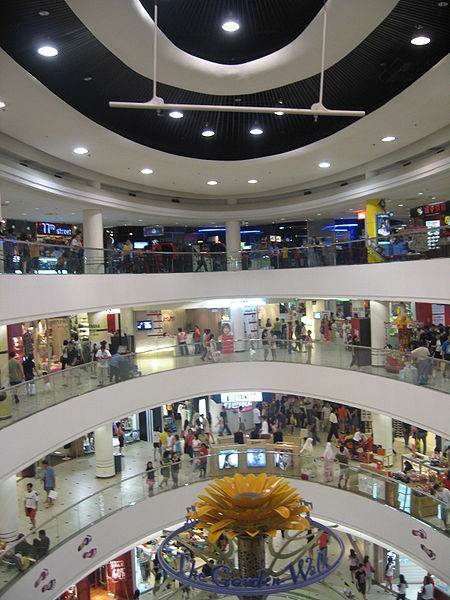 Consumerism is the main tool used by all adherents to the cult of Growthmania; and denial of the reality that the Earth has a limited capacity to recycle our waste products (including most notably the combination of fossilised carbon with atmospheric oxygen) is the most successful piece of collective hypnosis in human history. By the way, is that a giant incense burner in the photo or just some mindless piece on inane public artwork? Ha! I didn’t think about that fixture/artwork in the mall picture. I agree that consumerism is the gospel message needed to spread the growth economy religion. Pingback: Losing Faith in Holy Purchases | What Would Jesus Eat? Pingback: Holy Purchases: Identity and Idolatry | What Would Jesus Eat? Pingback: Holy Purchases: Practices and Possibilities | What Would Jesus Eat? I identify with doing many of the consumer choices you mentioned to assuage my guilt. I’ve also done a fair bit home made stuff for the same reason. As I have struggled with my guilt, I have become wary of attempts to quickly get rid of it. It has a way of reminding me of my limitations. It helps me wrestle with my desires, particularly those that are on the edge of my subconscious. It helps me question my faith, what do I really believe in versus what I say I believe in. It provides new definition for understanding theological concepts of original sin and depravity. It causes me to pause more when I start being critical of others.